In late 2010, Community & Environmental Defense Services (CEDS) conducted a survey of local stormwater review officials to learn how well Environmental Site Design (ESD) was working and how it could be improved. We just repeated the survey with some very interesting results. But before getting to that here’s a bit of history that might help put the results into context. Six years ago, Maryland Governor Martin O’Malley signed the Stormwater Management Act of 2007. The Act required the use of an extremely promising approach to land development known as Environmental Site Design (ESD). 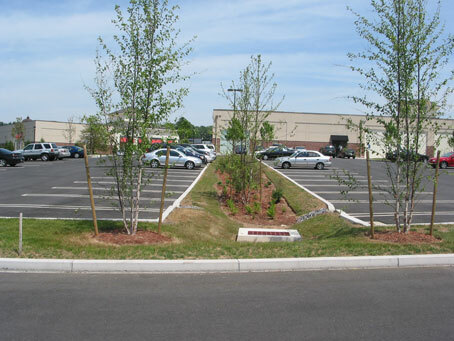 Unlike the prior approach, ESD required that consideration of sensitive environmental resources and stormwater management facilities occur at the beginning of site design. ESD also required the use of practices more effective in protecting the suitability of our waters for childhood play, adult recreation, consumption and aquatic ecosystems. In 2009, the Maryland Department of the Environment (MDE) added a new Chapter 5, to the Maryland Stormwater Design Manual, which set forth how ESD was to be applied. In May, 2010 the new ESD regulations took effect. 67% of the waivers were issued by a single jurisdiction, which was 25 times the number issued on average by the other jurisdictions. The full report is available at the CEDS Environmental Site Design webpage.